Nike appears to have abandoned plans to make its FuelBand wellness monitor compatible with Android devices, according to a tweet sent out by the company on Monday. The wristband, launched in January 2012, keeps track of the bearer's kinetic activity throughout the day, with the aim of earning 'Nikefuel' and lighting-up LEDs on the display as goals are ticket off. The device has been boosted by an iOS companion app since day one, which wirelessly syncs data, tracks steps and calories, enables social sharing and allows users to track their achievements over time. As of last summer, Nike company had vowed that an Android-based solution was also on the way, but a tweet from the @NikeSupport account now suggests a serious change of heart. The post, picked up by the Droid-Life website, was made in response to a question urging Nike's developers to "do your job." The reply said: "Right now, we're focused on iOS and web. We're not working on an Android app," and while this doesn't rule out a launch in future, it doesn't look particularly promising. 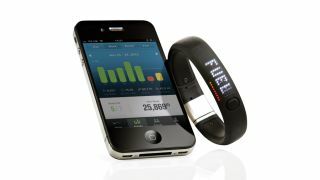 Android users can, of course, use the online-based portal in order to make use of the FuelBand, but the lack of a mobile app certainly detracts from the device's usefulness for would-be buyers. It means that Android users may now be better off looking at solutions like the Larklife wristband and the Fitbit Flex, which both have Android compatibility, or the Jawbone UP which promises one is on the way. So why would Nike want to shut out the majority of the smartphone-wielding population? Business Insider's Steve Kovach suspects there's a little more to the decision to scrap the app than meets the eye. He wrote: "Here's a theory: Keep in mind that Apple's CEO Tim Cook sits on Nike's board, and we know Apple is experimenting with wearable tech itself in the form of an iOS powered watch. Nike's fitness tracking app "Nike + iPod" is also built into every iPhone and iPod touch. In short, Apple and Nike are very close." Do you think there's a chance Apple wields that much influence at the world's most famous sportswear company? Let us know your thoughts in the comments section below.